Sometimes you just need a new way to celebrate a birthday. One of the places we have gone before is Amazing Jake's in Plano! The location is inside of the Collin Creek Mall, but don't let that make you think it's small. 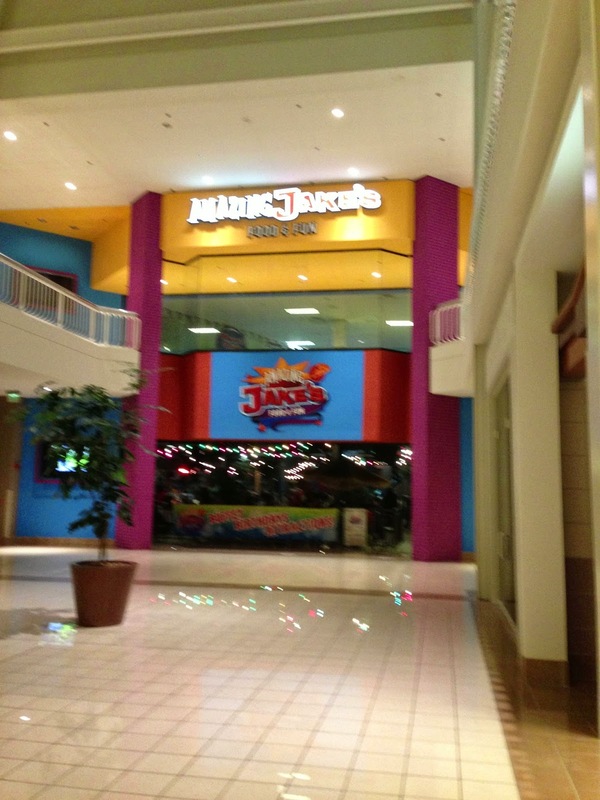 Amazing Jake's has over 95,000 square feet of food and fun. My boys LOVED the buffet of pizza, soups, salads and desserts where they could get as much as they wanted of what they wanted. Once they were full, they were able to practice their putting on the indoor Miniature Golf Course, race each over on the Go-Karts, chase and safely "shoot" each other playing Laser Tag, climb up to 25 feet off the ground on the Rock Climbing Wall, bump and dodge on the Bumper Cars as well as trying their hand at the Mega Arcade games and enjoying the various Kid City Rides!